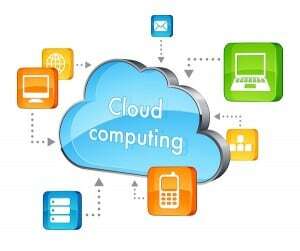 Cloud computing and virtualization are two trends that are raising great interest in the business world today. These are concepts we use daily but we do not always know exactly what they mean. We can find the following two definitions on Wikipedia: “Cloud computing is a form of computation that has its foundations on the Internet and by which shared resources, software and information are provided to computers and other devices on demand as a service”; “Virtualization is a mechanism that enables to share a physical machine in order to run multiple virtual machines. These virtual machines share free CPU resources, memory, disk and network connection that would otherwise be untapped while waiting for peak working times.” That is, virtualization is a technique that allows sharing a physical resource with multiple virtual users , which is a necessary element to provide network services (Internet), but not necessarily only linked to the Internet, as it could occur in a private environment; while cloud computing is a very powerful way to get services distributed and accessible anywhere. This last idea is indeed very powerful when it comes to supply chains, although we can consider virtualization and cloud computing as associated concepts, since cloud computing uses virtualization as an essential tool to ensure the services provided. When we talk about cloud supply chain we mean ensuring a collaborative development on the Internet from the start of the chain until the product reaches the consumer’s hands. The approach to the use of cloud computing is intensive, as it is the most efficient way to manage a global business with many participants as agents like the supply chain. In a supply chain, it is especially important to have a cloud ERP software built to operate from the start, because it will enable us to efficiently manage all the agents involved. These agents involved are product suppliers, customers, carriers, service providers, and freelance employees distributed all over the world. Therefore, it will be essential that the common software is accessible efficiently and at a low price through a simple browser, from anywhere, taking into account that access conditions may vary. It makes a big difference, for example, if I am at the headquarters with an excellent Internet connection, or if I am in a small hotel in a remote country working as a salesman and I try to inform about orders made by customers, or if I am the manager of a store that wants to update the shared stocks of the company. Only an ERP designed from the start to operate in the cloud will be efficient in such different environments as the optimum management of the supply chain requires. The new technologies are no longer seen as a cost to businesses and have gradually become part of the strategies, thus investing a significant part of the budget. The goal: to help manage and promote interactive workflows, as productivity starts to be understood as well beyond the office. The key is immediacy and security. Gone are the days when marketers provided their customers with short-termed paper catalogues. Today, sales require dynamism, agility and speed; now paper catalogs are replaced with digital catalogs updated in real time providing all the information about the product, its features and availability. The immediacy offered by new technologies enables to safely complete business in less time. Providing customers with a complete service through dynamic, quick and reliable management no doubt requires using the cloud. Distribution centers require a high level of control and there is increasingly less room for human error. And for this reason, the cloud ERP systems we were discussing before are crucial. 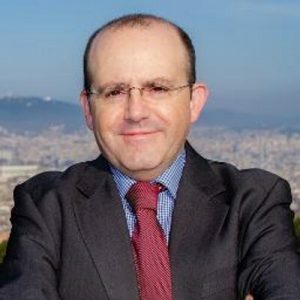 In this process the cloud has many things to offer: dynamic and flexible growth, aspects of availability, exact control of costs, as well as test environments and development. All these advantages are often in the background when the issue of safety comes up. There are still many people who give up the advantages of cloud computing because of the intrinsic fear of using this medium intensively. On a deeper analysis, we can see that a cloud ERP solution can guarantee the same levels of security as a traditional ERP solution on-premise. Just as in traditional models, we need to provide physical security, transmission security, storage security, access security, data security and applications security. The only difference is that in the case of traditional ERP, security issues are managed by the internal IT resources of the company while in the case of cloud ERP, it is managed by external resources. An audit conducted by third parties can certify that external processes are documented and followed, but in most cases, external providers of cloud services pay more attention to those details than the internal resources would. In short, the cloud ERPs are as safe as the traditional on-premise ERP systems. Some security problems are different and perhaps less known, but once understood, many experts conclude that cloud systems are safer than the often poorly managed, in terms of security, internal applications. In conclusion, we can say that there is a clear trend to manage the supply chain using ERP and cloud services. This is so because the requirements for flexibility, dynamism, geographical spread and control you need to manage the supply chain perfectly adapt to the features of cloud computing. The security problem can be overcome if you have a reliable business partner with consulting capacity, and the development of a customized solution. It is always necessary to have a third party auditor that certifies the compliance with the safety standards we need in our business. Certainly, each company is different and will need to adapt the process of cloud computing to its particularities, but it is a path that everyone must take if we want to be competing in the global world we live in.